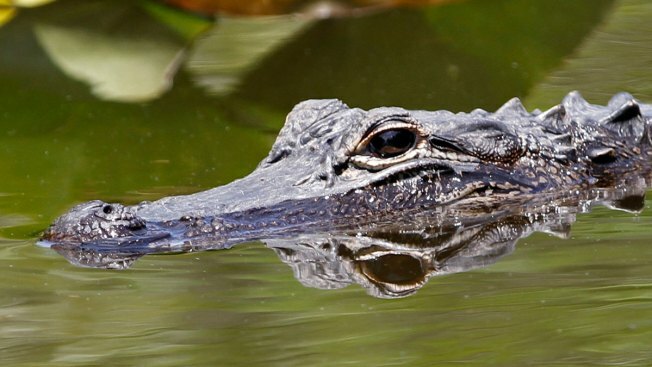 Authorities say a Florida man was bitten by an alligator after he mistook it for dead. NBC affiliate WESH in Orlando reported Sunday that 41-year-old Bryan Rohm was bitten on the thumb and taken to Orlando Regional Medical Center for treatment. The Lake County Sheriff's Office says Rohm and his son were on a boat Saturday and had a permit to hunt alligators. They shot an alligator twice with a specialized firearm known as a "bang stick'' and thought it was dead. But the alligator bit Rohm as he tried to get it in the boat. The alligator then jumped back into the water.